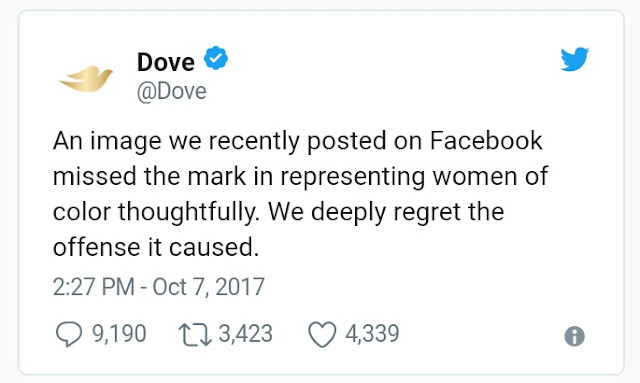 Offended Dove users erupted and the company quickly apologized. But the two-sentence Twitter note and a slightly longer message on Facebook left it unclear what exactly the ad was trying to convey. Was Dove saying that inside every Black woman is a smiling red-headed white woman? 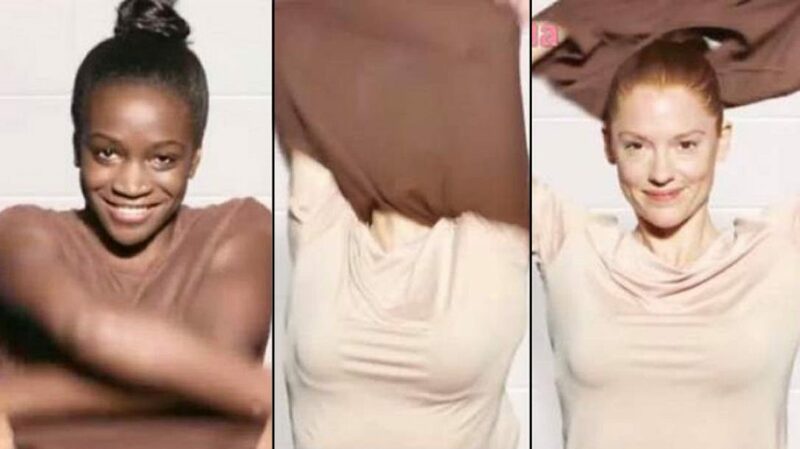 Was Dove invoking the centuries-old stereotype that black is dirty and white is pure? Or that black skin can or should be cleansed away? And perhaps the biggest question of all: Did Dove really believe that the ad would make more people of colour want to buy its products? Still, this weekend’s predicament was a curious one for Dove, a beauty company that has a 13-year-old marketing campaign centred on rejecting standard, racially insular notions of beauty in its commercials. “One could argue that messages of gender equality are important enough that it doesn’t matter if they precede ad copy for a shampoo company. But that line of thinking conveniently misses the point, particularly when it’s beauty companies who are using feminism to sell products.